Rise	Hell yes or Hell no! A sentence in a book leapt out at me this week about dreams. About keeping a hold of our big giant wild dreams and how as an adult that can be hard to do. As children we do dream big and as we grow for whatever reason we can be beaten down and our grandiose dreams can ebb away to a memory. I read and reread the sentence and felt it in my heart, perhaps my big wild dream had faded from neon to a pastel shade and I needed to light it up again, to sparkle it and care for it and feed it. To imagine, to daydream, to reconstruct. With cell phones threatening every spare second we have, minutes can be charged with status updates and such and the ground on which our dreams were previously grown and nurtured can be forgotten. This month our theme is standing in our power. Like dream bubbles which can be burst, we can think smaller than we are. Put constraints over us, limitations and such and basically put ourselves into small boxes. Theres a tendency to feel overwhelmed and unable to know where to start. This week at the Amnesty conference hearing about their Write for Rights campaign, I was reminded of the big difference we can make by simply letter writing. The campaign asks you to write 12 letters to 12 victims of human rights abuses and 12 letters to the officials in charge of their cases. The effect of receiving so many physical letters is un-ignorable and as a result of the campaign people have been freed and laws have been changed. 500,000 letters piling up on a persons desk is irrefutable pressure to make a change. My host mother from the refugee camp in Dakhla sent me messages this morning via Whatsapp. We exchanged photos, thoughts, ideas and hope. She wants to improve her French, I want to improve my Spanish. We have forged a connection in our hearts weeks ago now which will be with us for life. In 5 days living with someone you can bond for life, we can make a difference through a letter or through conversations over tea on a desert. Our lives are there for the living, its us that can choose how giant or how mini our worlds can be. 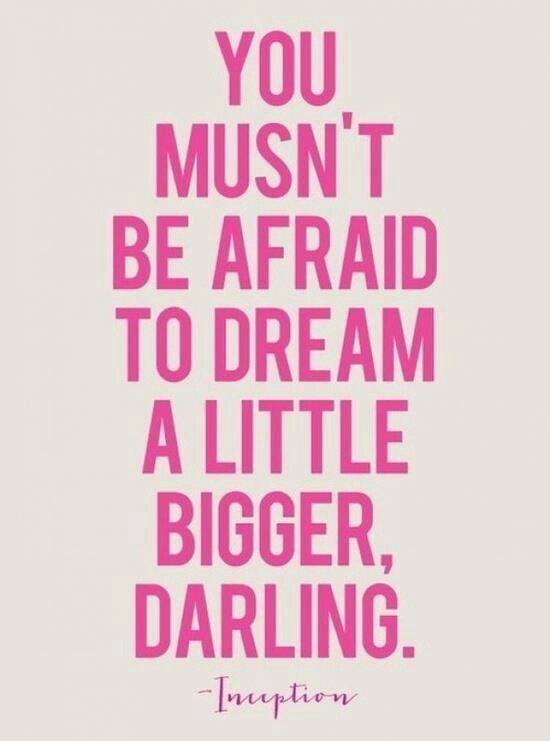 We are bigger than we think we are, we have more power than we think we have and we should dream accordingly. Dream on and dream big darling. Yes, letters make a huge difference to people’s morale as well. So good to write to the individuals under pressure or in prison. Well done.